6. 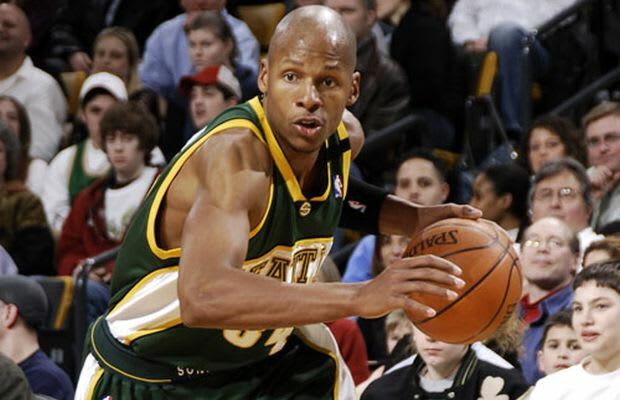 Seattle SuperSonics trade Ray Allen to Boston Celtics. The Seattle SuperSonics were feeling the pressure to move veteran Ray Allen, but their trade with the Boston Celtics radically shifted the NBA landscape. Not only did it give Boston an All-Star guard, but it also gave the Celtics the cache to get Kevin Garnett to accept a trade that also brought him to Boston. KG openly stated that he would not have gone to Boston without Allen, and naturally had he not gone then the Celtics would not have won the 2008 NBA title. Glen Davis also went to Boston and became a key bench player, while No. 5 overall pick Jeff Green spent three-plus years with the franchise before he, too, was sent to Boston in a trade.